This post is written by a guest this week, Dr Julie Bradshaw MBE and English Channel swimmer. We thought her thoughts about motivation for swimming are just as relevant to other sports such as climbing. Thanks to Dr Bradshaw for permission to reproduce her article which first appeared in The Channel Swimming Hand Book. What is likely to happen if you take action? Motivation is the key factor as it causes a person to act. Motivation is only motivation if it gets you to “take action”. Taking action is what separates winners from losers; it is the difference between wishing and dreaming: Dreamers Act! – and my dream was to swim the English Channel. So where did my motivation come from? As with you, Motivation is personal and you need to define it for yourself. This is important because if you do not, you will likely get discouraged along the way. When the going gets tough, you will give up. Defining Motivation is about doing it in a personal manner that is relevant to you AND will compel you to ‘take action’. If it does not, then you haven’t found the right motivation. Motivation then is deeply tied to your goals; your goals are in a true sense your motivation. That is why they are personal. I had my goals and indeed they motivated me. Getting up every morning, ‘ploughing’ up and down a pool length after length, diving into cold, chilly water isn’t everyone’s idea of fun!! I can tell you from my own experience you have to be motivated. 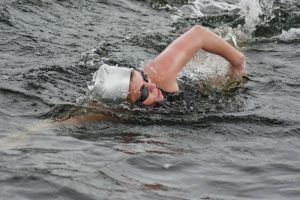 The motivation for channel swimmers and the ‘reason to swim’ (the why) is something of an extraordinary challenge to aim for, although I consider myself an ‘ordinary person’, who has achieved extraordinary things’ in life. I’ve just had my goals set, with plenty of focus and determination. Big goals spur people to action – people can be divided into two different categories; they either have ‘away from’ or ‘toward’ motivation. Ask yourself right now, are you motivated by a ‘stick’ (away) or a ‘carrot’ (towards). Being a ‘towards’ motivated person, like myself, means you are always moving forward to something. A goal, which is the best motivating factor. The problem for ‘away from’ people is that when they get far enough away (e.g. An employee threatened with a wage decrease if the job is not done), their motivation goes. I have worked with people and after changing their values and using NLP techniques, I found a ‘light goes on’ and suddenly they have a realisation of how to be properly motivated. Accentuate the Positive. Look at your strengths and how you can make yourself even better. If you send messages to your brain that are positive and that you can do something, convincing yourself that it is possible, your whole mindset will be positive and your goal will be achievable. Providing you work hard and effectively towards it, and never lose sight of the fact that you can do it Your Goal Will Happen. Support:of family and friends. This for me does not need any explanation; however, with it my goals were made that much easier and even more achievable. If you think you can, you can. If you think you can’t, you can’t and you won’t. Either way you’ll prove yourself right. – Henry Ford. Who needs a climbing Coach? 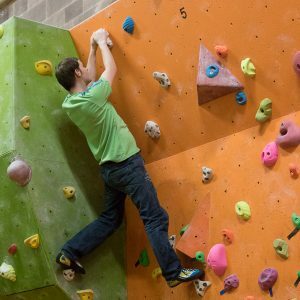 Do you want to get better at climbing? Hopefully the answer is yes and it’s like anything in life, the more you practice the better you will get, providing you are practicing the right techniques. Practice a bad technique then you will become very good at doing something very badly but if you practice the right technique you will get better. A coach may not be the best climber, but they can see what you are doing and tell you what you are doing wrong – there are lots of people who can do this – like your mates, but a good climbing coach can tell and show you what to do to improve. Is a coach just for competitive athletes? All top sports people have coaches and they have got to the top of their chosen sport by having coaches from an early age. That doesn’t mean its too late for the rest us to get better at our chosen sports, all it takes is dedication and a coach. Coaching is a new addition to amateur sports but it’s slowly gaining popularity. Although sport is a pastime for fun and a way of keeping fit, it helps to have the drive to become better which will help to maintain your interest. It’s like having belts in martial arts, a way of monitoring progress and keeps you focused by having goals to aim for. In climbing, you can try a more difficult grade of route, achieve it and then aim for the next grade and the cycle continues, showing your progression. Coaching is not about having one hour’s session and thinking you will improve overnight. It’s about regular meetings, for example once every 4 weeks. This allows the climber to practice, maybe using a training plan that’s been worked out by the coach, before being reassessed and learning more techniques and discussing ideas. Discussing ideas with a coach is very important as we are all different and what might suit one person may not suit another, problems have to be discussed so the coach can find the correct solution. Another big plus of the coach is they act as a motivator. The coach has set you a training plan, you have four weeks before reporting back, showing improvement and pleasing the coach as well pleasing yourself. What a great incentive? Not everyone can be coached, some people think they know everything already and so they can’t be taught. They might get better as they figure it for themselves but it’s easier with a coach. For the climbers that explore becoming a coach it will be something that they won’t regret and it will have an impact on their climbing as well as their day to day life. The 2 links below are for 2 climbers who set routes and problems at Alter Rock. They would be happy to coach you on the routes and problems they have set.